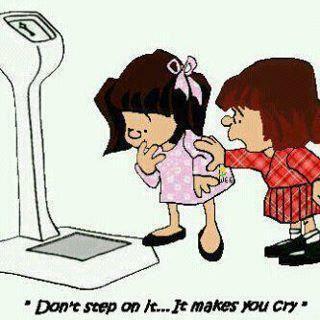 There are lots of people Banting but not everyone is losing weight. This is especially true in the female population of Banters. It is not that the Banting way of eating doesn’t work for them. They just might not be doing it correctly. For the record, I believe Banting is a healthy way of eating for everyone. Fat or thin, young or old. Cutting out grains, sugar, toxic seed oils and processed food is going to seriously improve many aspects of your health. But you could pile on the kilos (or not lose any) if you don’t pay attention to how much fat you are eating. 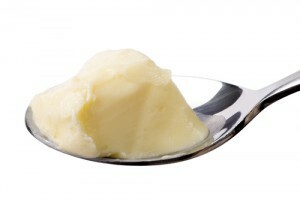 Many people start Banting and they literally hook themselves up to an IV drip full of delicious cream while at the same time they cram their mouths full of glorious butter. Yes these are healthy fats, but they still contain calories. A lot of calories! A high fat diet is supposed to keep you satiated between meals so that you reduce the quantity of food you eat in a day. You should basically be able to go at least 5 hours or longer between meals without the need to snack in-between. Snacking is not conducive to weight loss as it keeps your insulin too high and never lets your body get into fat burning mode. If you are finding that you are still genuinely hungry (not just bored hungry), then maybe you are not eating enough fat. But, if you are not losing weight it could be that you are eating too much fat. Fat is very calorie dense and a little goes a long way. Listen to your body and only eat when you are actually hungry. It is very easy to eat too much fat and therefore overshoot your calorie requirements for the day. If you are a women who only needs around 1 800 calories a day and you are pouring fat down your throat at every opportunity – you could very easily be consuming 3 000 calories or more a day. You can then forget about losing weight. Everyone is different. You need to find out what YOUR fat threshold is. You need just enough to nourish your body and brain and liberate you from cravings, hunger and constant thoughts about food, but not too much that it causes weight gain. I find it quite useful to occassionally track my daily food diary in MyFitnessPal because it is always such an eye opener how quickly calories and carb grams add up. Yes, you will be eating more fat than you used to when following the standard low-fat diet, but I don’t believe Banting gives you a license to participate with wanton abandon in a fat fest. There is no need to lock onto fat as if you are a missile and whipped cream is your target. So, cook with enough fat to make your food tasty and delicious. Smear butter on your slice of Banting bread. Put a dollop of home-made mayo on a piece of chicken. Drizzle olive oil over your salad. Eat that delicious crackling on your roast pork. Have a bullet coffee as a quick and easy breakfast (not a few times a day when you want something warm to drink). But be mindful, be responsible and don’t kid yourself that calories don’t matter – they do. If you are over-consuming fat and you haven’t dropped your carbs low enough, chances are you WILL put on weight. Fat and carbs are a very bad combo. I don’t mean the carbs you are getting from low carb veggies and salad. I mean the carbs you are getting from dairy, fruit, nuts and Banting friendly baked goods. Yes, it is great that you are getting back into the kitchen and making things from scratch but make sure “treats” are just “treats” and not an everyday occurrence. Is there really a need for LCHF cheesecake on a regular Tuesday afternoon? Keep it for the weekend when you have guests around for tea. Another important point to remember is that dairy contains carbs. So if you are devouring bowls full of Greek yoghurt and having 4 to 5 cups of coffee each day with cream (or worse – with milk), then you could very easily be having too many carbs which hinders fat loss. Dairy is also problematic for some as it can cause quite a radical insulin response – more than you would expect for the grams of carbs it contains. Too much insulin means too much fat storage. You are trying to lose fat, not gain it. I hope these pointers help get you back on track and Banting successfully. I have written this post because I would hate for anyone to give up on this wonderful way of eating when there are so many incredible benefits to be gained. My family will never go back to our old way of eating. Why would you when you have found a way of eating that gives you excellent health and amazing energy. Keep at it and remember that Banting is NOT a cookie-cutter diet. You are unique and you need to find out how to make the Banting way of life work for you so that you can achieve your goals. Posted on June 7, 2014, in Primal 101 and tagged Banting diet, healthy fat, how much fat?. Bookmark the permalink. 17 Comments. Wise words. In general i find the Banting way rather dairy heavy, sometimes excessive. I have been primal for a year and a half and feel great when i stick to it. I thought i’d try Banting and i picked up 3 kgs! Personally I do better on a Primal/Paleo low carb, healthy fat diet too. Dairy makes me gain weight very quickly. I cannot begin to thank you enough for writing this post, as I have been banging on this same drum for the last 9 months, in fact it’s the VERY reason why I started my FB Group, with the intention of changing this misperception about Banting, as I firmly believe not only does it have dire consequences to the physical body, but equally is a major contributing factor to the negetive press surrounding Banting as a way of eating for life. Yet there are still those people out there and equally those FB groups out there that simply encourage their members to eat ‘freely’ from the green list, and anyone seen to be challenging or questioning this ‘free-for-all’ approach is seen to be a pariah of the first order! To a point where I actually have removed myself from these pages, or in most instances been blocked from the pages, preaching your (and my) message of moderation. Yes, so once again, I have to thank you! I have asked my group to carry a link to this article and paste it wherever required to try and address this misconception! Hi Mandy, thanks for your comments. Yes moderation is important – and what is also important is to truly listen to your body’s hunger signals. It is important not to feel hungry or deprived (that is just no fun at all and not sustainable) and to eat enough fat until you feel satiated (and then no more), and low carb enough to keep blood sugars at a healthy range and prevent insulin from spiking. So each person has to self-experiment to find out the macro-nutrient ratios and food quantities that will help them to achieve their goals. I think for many people who are Banting and not losing weight, the problem could very well be that they are still eating too much food in general and also too much fat, which is ramping up their calorie intake above what their bodies can use. It could also be that they are still consuming too many carbs. People need to keep at it and carry on trying to get the formula right for their bodies. Banting does work and is a fantastic way to get healthy. It is just unfortunate that people sometimes give up too easily. You don’t have to eat dairy, there are a number of other fats to choose from, and equally whatever you eat, needs to be eaten in moderation. You should give it a try again, the higher fat allowance and the inclusion of dairy does make for a slightly more satisfying approach to eating and meal planning. Well done Nicky, Not written a moment too soon! There has been soooo much emphasis on baking low carb treats that I’m sure far too many of us are having these as our Banting right! A query I have: Coconut flour has 64.7g carbs/100g Why is it so touted? Is it just that it is gluten-free and a healthier option of fat, also having a good portion of portein (19.3g/100g)? A sensible approach to Banting. Yes, I suppose it is because it is a grain -free option. But as with almond flour these grain-free healthy flours which don’t contain gluten still contain carbs which must be accounted for. Thanks for the useful info about the coconut flour Roxy. Coconut flour contains 58.8g of carbs and only 6.2g of fibre per 100g. White flour contains 76.3g of carbs and 2.6g of fibre, so the net carb effect is about 20g of carbs, which is high, but not high enough to warrant running around stuffing one’s face with treats made from these supposed ‘Banting Free’ ingredients. Reblogged this on Fresh Kitchen. Also Coconut flour is so aborbant ( thinkn fiber sponge) that it only takes a bit to make a batch as opposed to almonds or other nut flours. Alas, I barely eat any dairy, but I may have to give it up. I have been drinking a lot of BPC coffee instead of breakfast but that is nearly 500 calories in butter and coconut oil. NOw tryingot figure out how to get my caffeine fix wihtout any dairy. Cocnout crream has one sugar carb /Tsp. Back to coconut oil alone I guess — not a fan of greasy coffee. well some kind of change is needed. So many LCHF sites act like you can such on a can of lard without any trouble. Back to Fitpal…… 😦 But when I was doing that with the LCFH % in place, and eating under 1600 ( A’m 65 and 6 feet tall) I run out of carbs before I run out of the “required” fats. HArd to balance macros and stay under 1600. I started with banting (The Real Meal revolution ) on 05 January 2015. I have lost 9kg already and I feel great. On all the other diets I have ever followed I was constantly hungry and thinking about food all the time. I was a total sugar addict. Now I lost the weight, the cravings and hunger pains, the dizziness and joint aches, the epigastric pain, heart burn, the bloatedness, water retention, stomach cramps and diaree due to gluten intolerance, and the best, my shopping list for Nexium, Buscopan, Myprodol, Gaviscon etc. Thank you for stating in plain language what banters and banting sites blithely ignore, totally deny of justrskirt somewhat, namely : to lose weight you MUST COUNT CALORIES. The end.